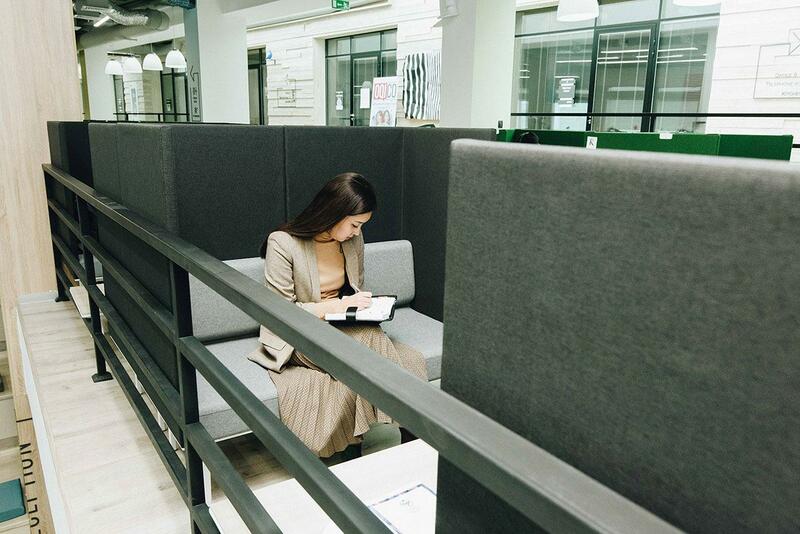 Times change and ways of working also in more and more places in the world. 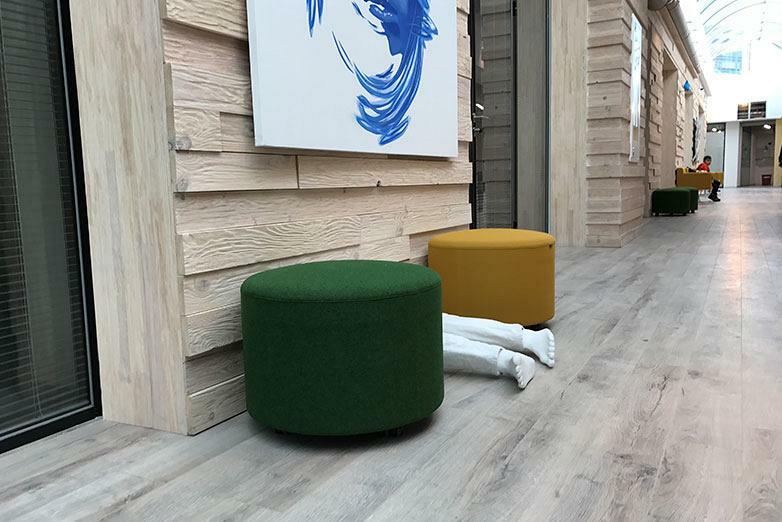 Different people, diverse profiles and independent companies share space and work side by side, promoting the exchange of ideas and creativity. 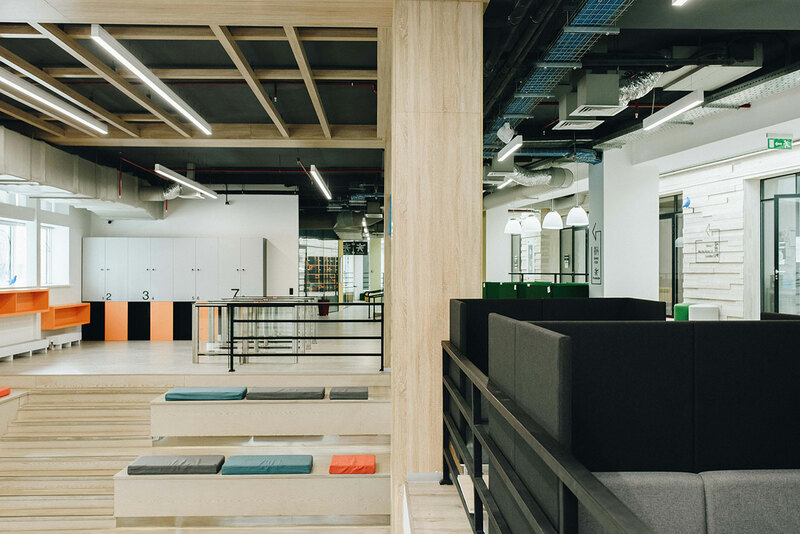 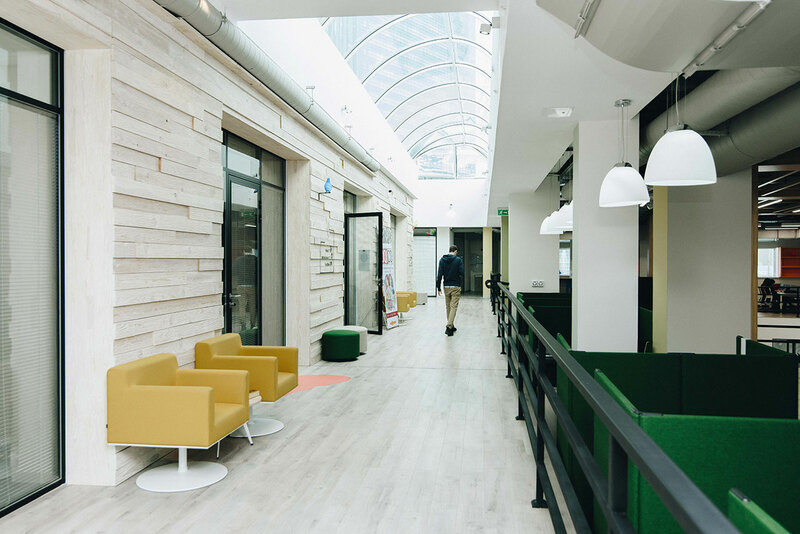 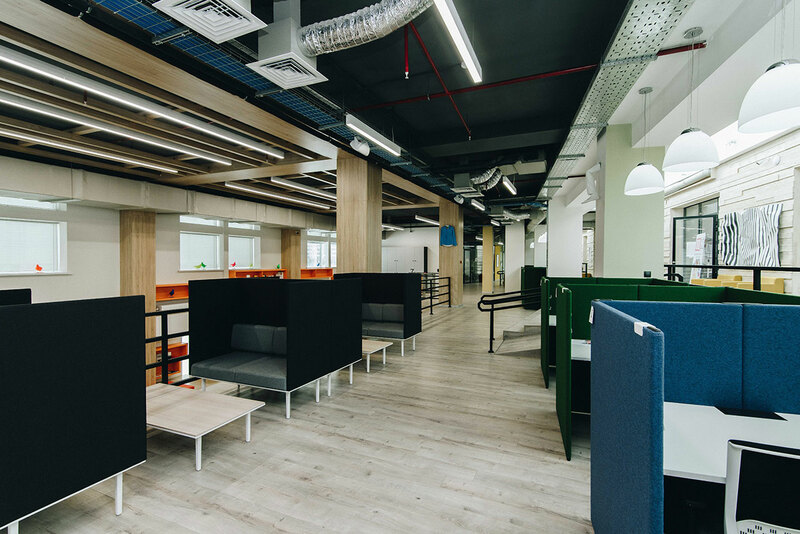 That is the premise of this IQ Coworking located in Astana (Kazakhstan), equipped by Actiu together with its partner Basire Design Group, in which different professionals share a motivating environment. 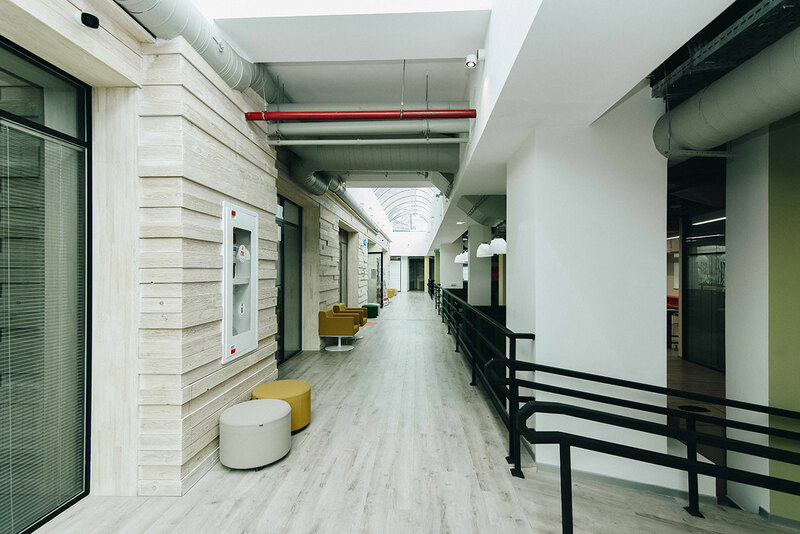 Facilities that promote contact and communication between freelancers and established companies to generate synergies and points of collaboration. 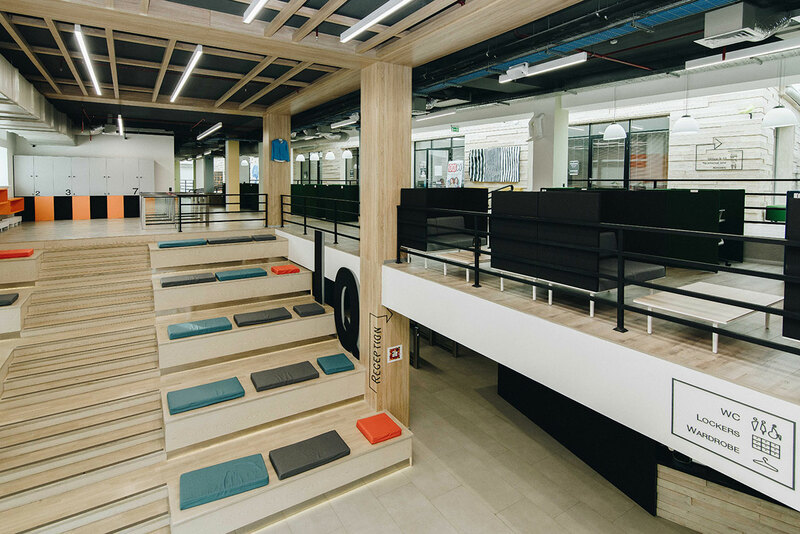 And with an innovative space design proposal, with individual operational positions that enhance concentration and interaction. 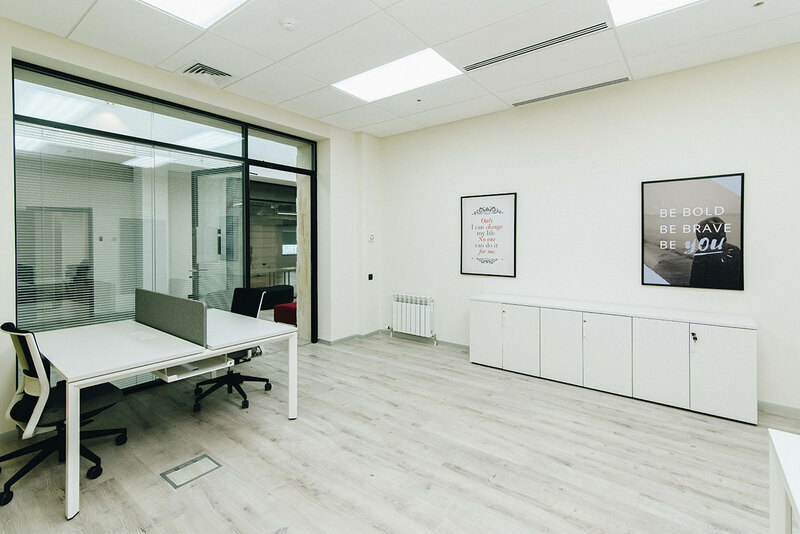 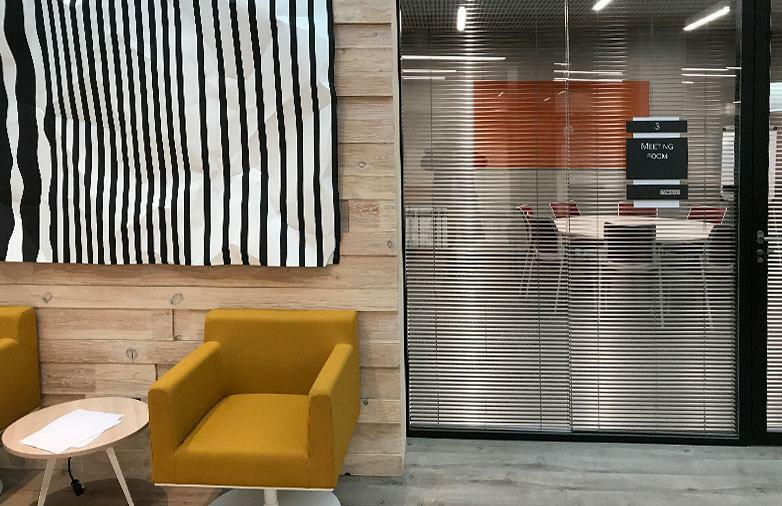 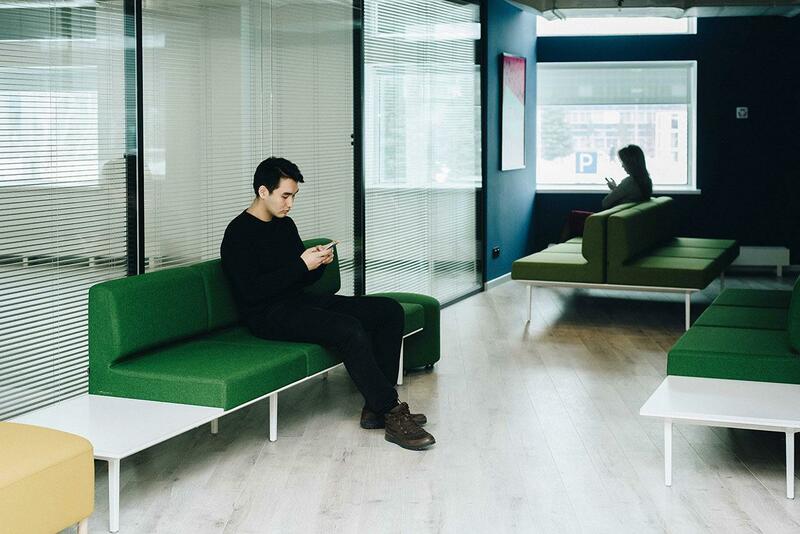 Up to 200 operating positions enable configuring this coworking space that is the biggest in the Kazakh capital. 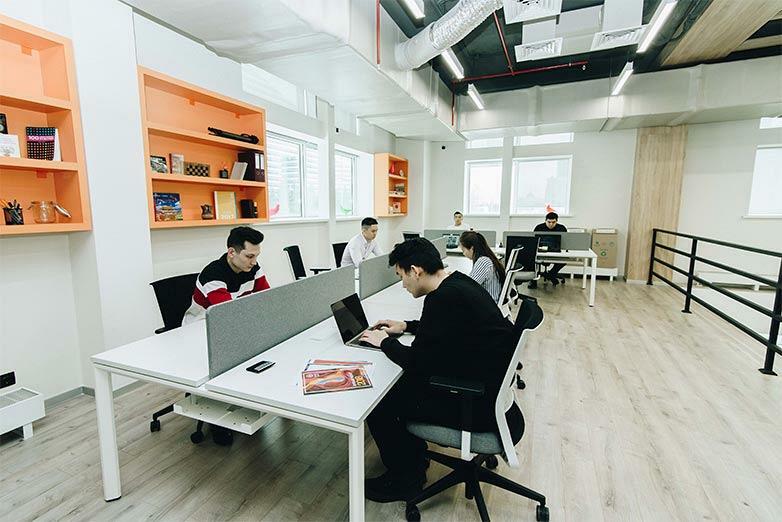 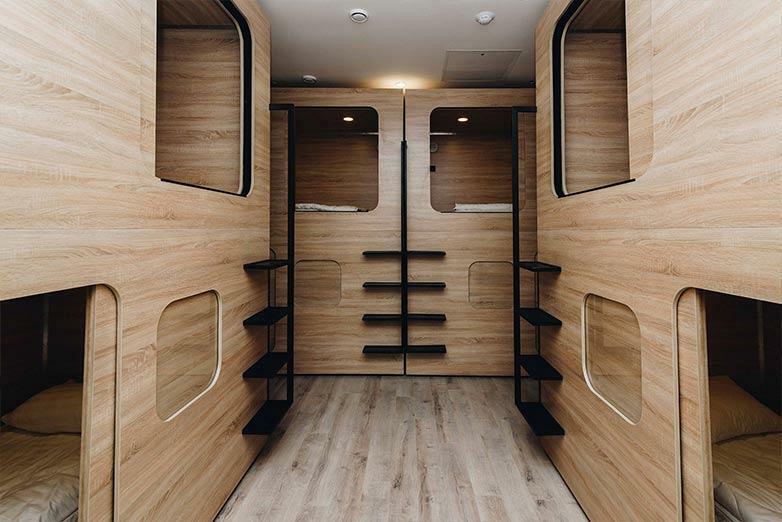 Its interior not only has open workspaces but also two auditoriums and a capsule hotel, among other facilities, which have already attracted all kinds of national and international companies, including technological start-ups. 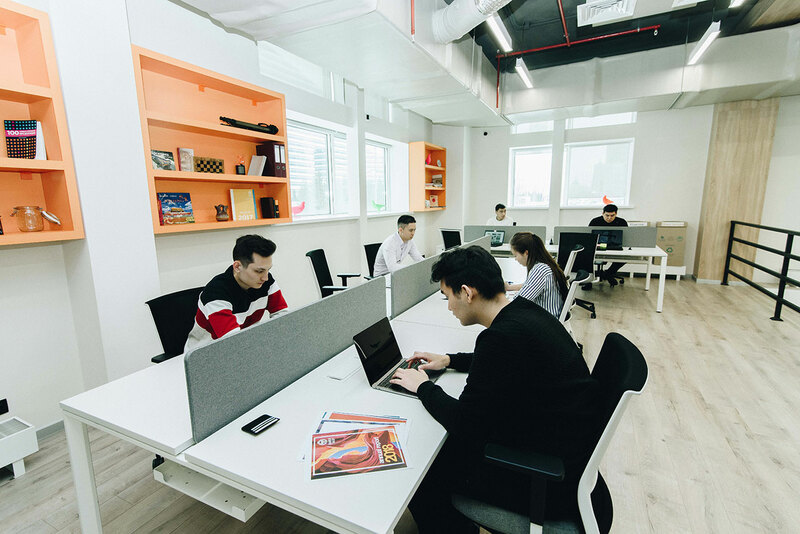 Coworking spaces, increasingly demanded in Astana, can act as both an ideas lab for individual entrepreneurs as well as offices for big companies, in addition to being a space for conferences and specific conventions, thanks to the versatility of its equipment and its spaces. 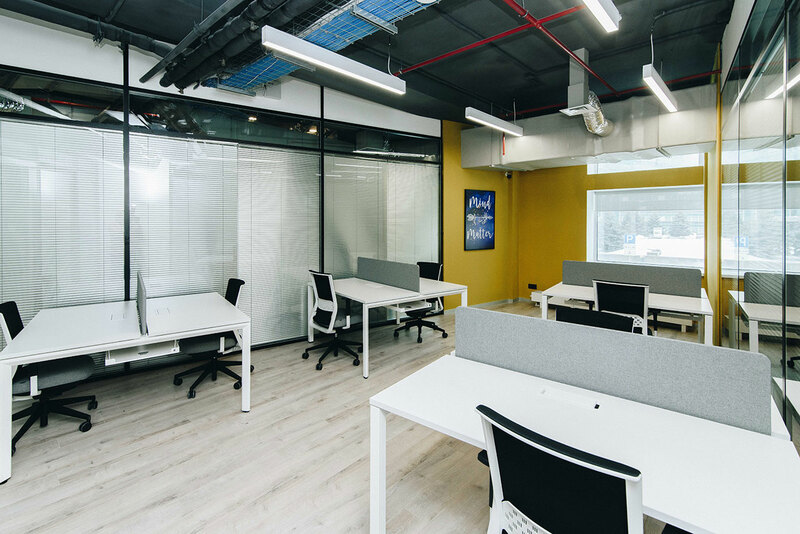 In fact, in regards to operational positions, these facilities have different sized open work areas as well as closed areas whose internal offices can be rented individually or all at once. 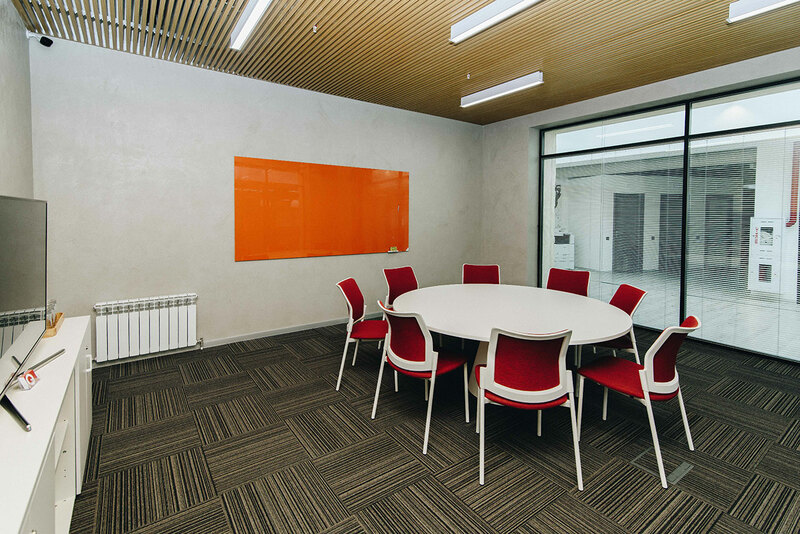 As for common rooms, these also aimed at being used by groups. 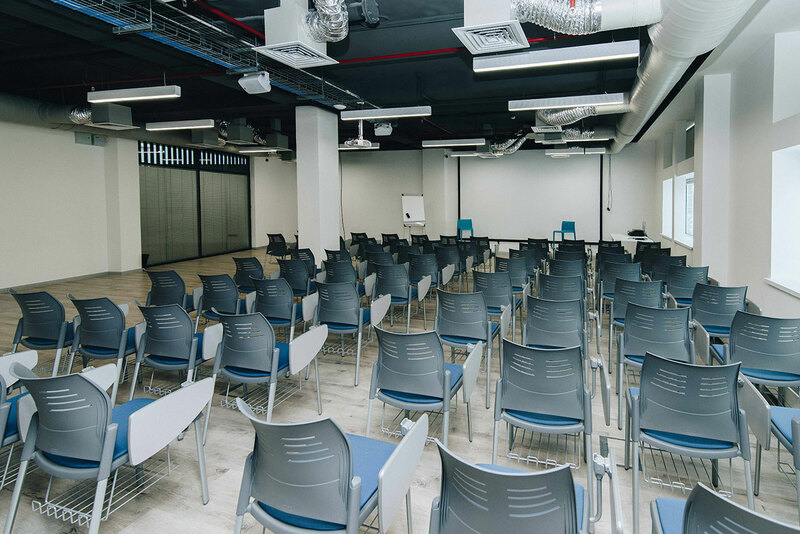 They have tiers for holding conferences and formal meeting rooms, behind closed doors, as well as spaces designed for socialization and rest such as cafeterias, the kitchen, the lobbies, a music room, where improvised musical gatherings are organized on Friday evenings. 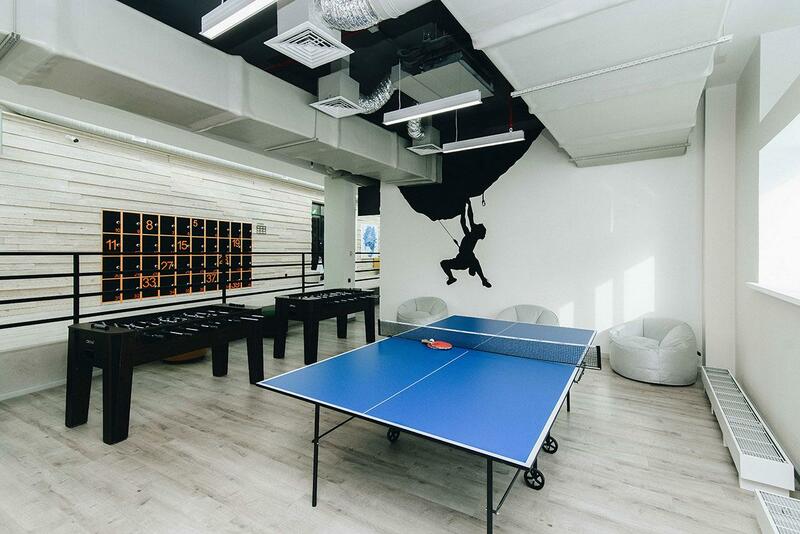 Another one of the most used spaces are the areas aimed at private telephone calls, lounge rooms and the recreation area, equipped with a table football and a ping-pong table, which has become very popular among users. 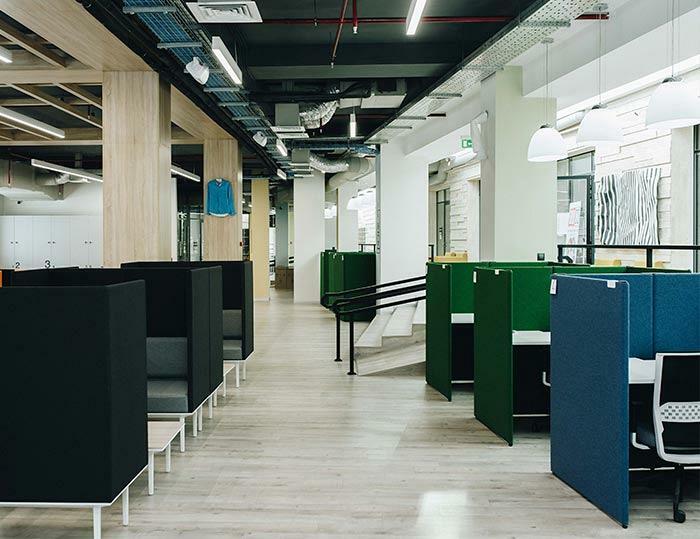 In this sense, Actiu's furniture has contributed greatly to creating highly functional yet complementary areas. 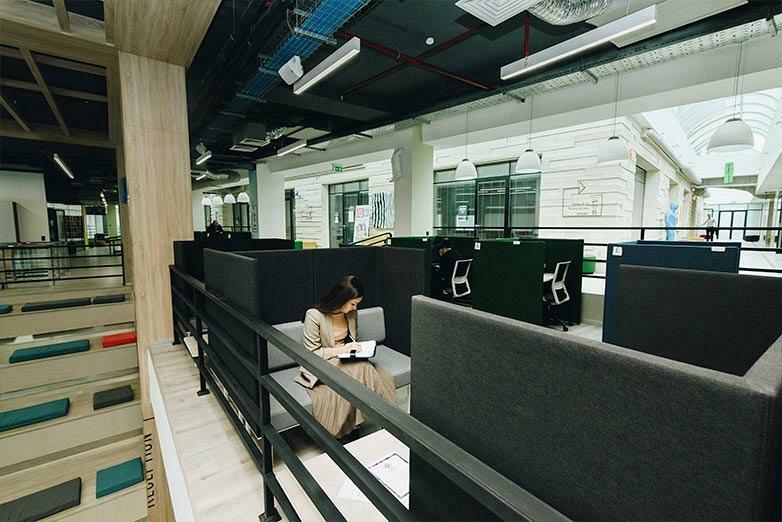 Spaces capable of meeting the needs of very different business forms but that, in line with Actiu's CoolWorking® methodology, cover very specific functions: spaces for concentration and individual work, collavorative work spaces that promote dialogue and teamwork, and spaces designed to promote the exchange of ideas in a more informal way. 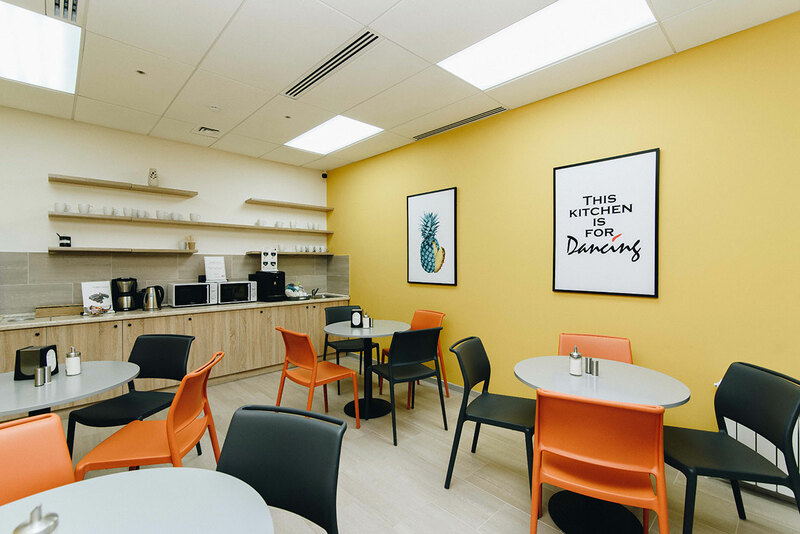 This space's interior design and equipment has been defined from a multipurpose approach, with stackable tables and chairs in common rooms, that adapt to a team's needs as well as the needs that arise at a given time. 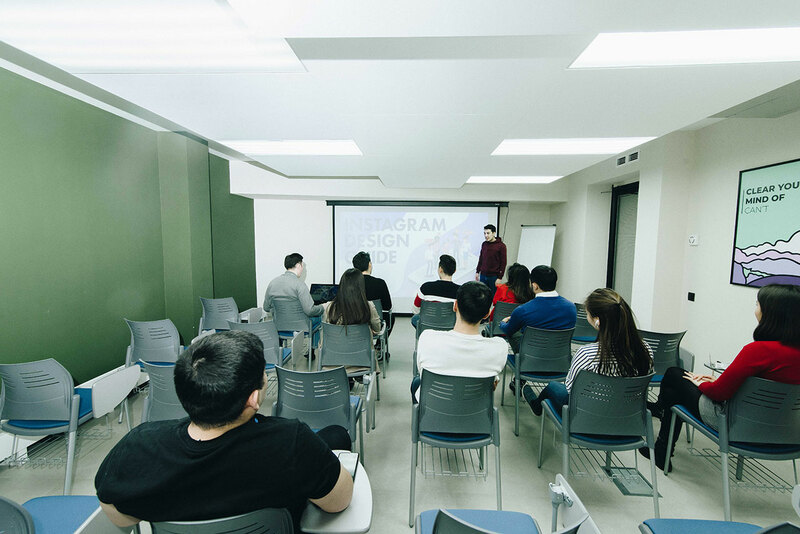 Specifically, the coworking space's two auditoriums can be converted quickly and easily into training spaces. 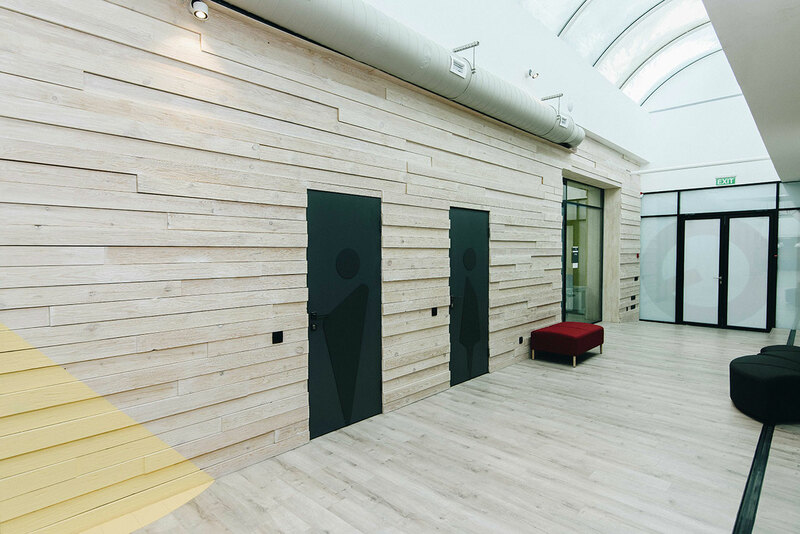 The furniture designed by Actiu reflects precisely those changes, to create spaces for people, tailored to each room and where they can be used in very different ways, while always promotingtalent and well-being. 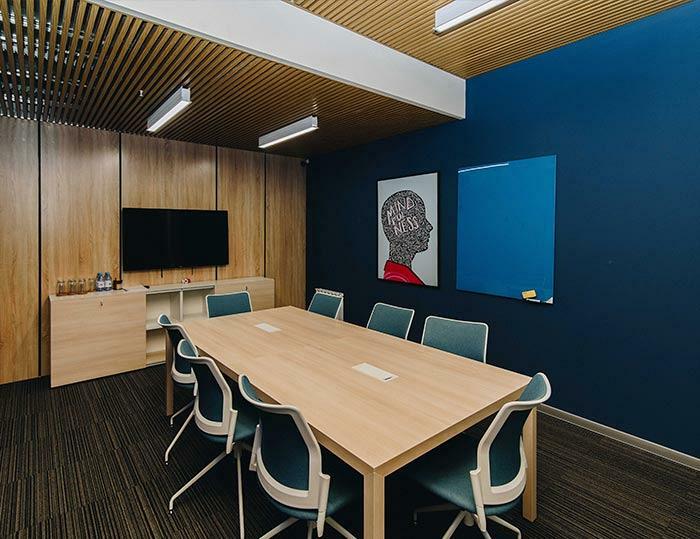 Actiu has provided the specific qualities of furniture for workspaces such as the Vital Pro tables and the Stay chairs, as well as meeting solutuons such as Spacio and Urban, the Longo system and the soft-seating Bend range, that provides its comfort and colour to different rooms in this coworking space. 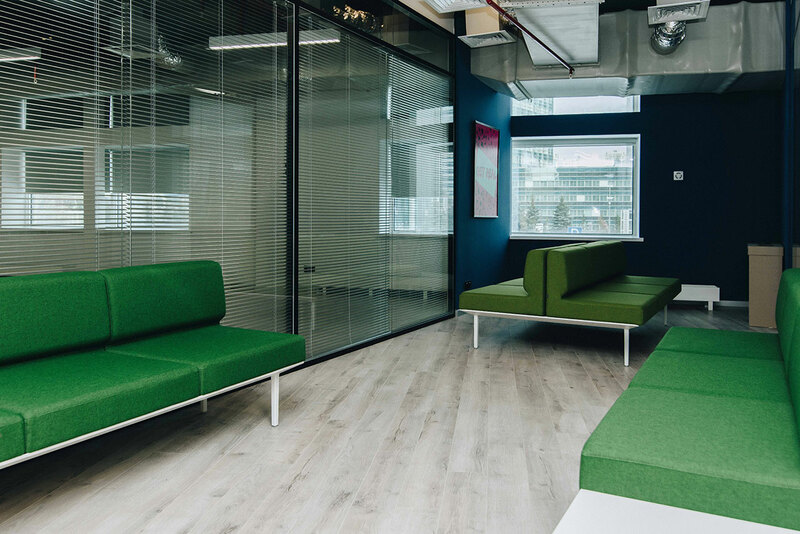 The Spacio and Urban collections, in their upholstered version, stand out due to their visual lightness and structural robustness, together with their ergonomics and versatility, aimed at different environments and uses. 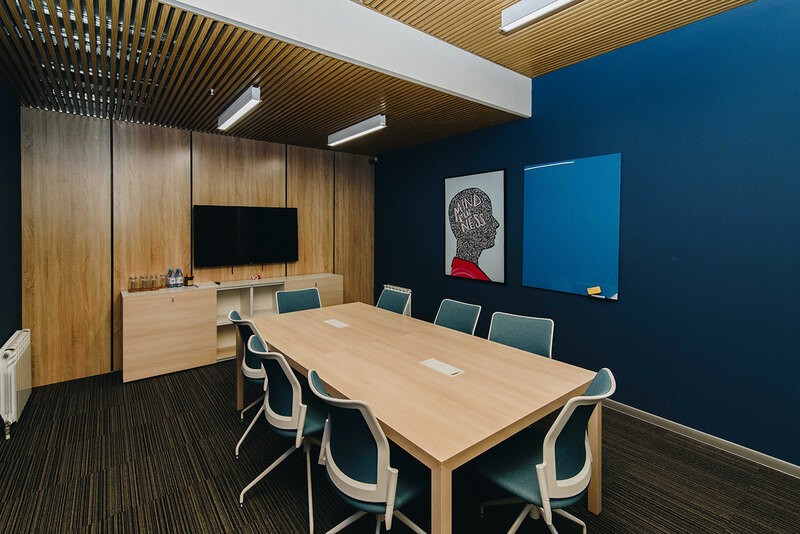 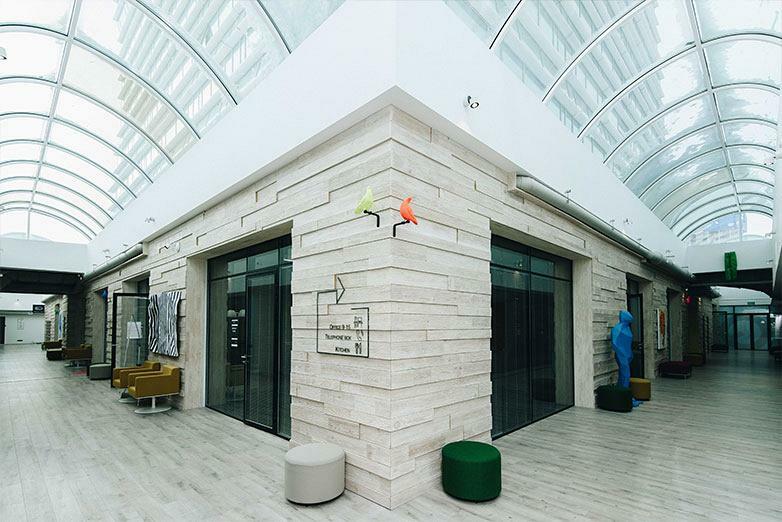 Longo and Bend create comfortable environments that manage to create moments of rest and relaxation in this coworking space's areas of passage, waiting rooms and areas aimed at leisure and casual meetings. 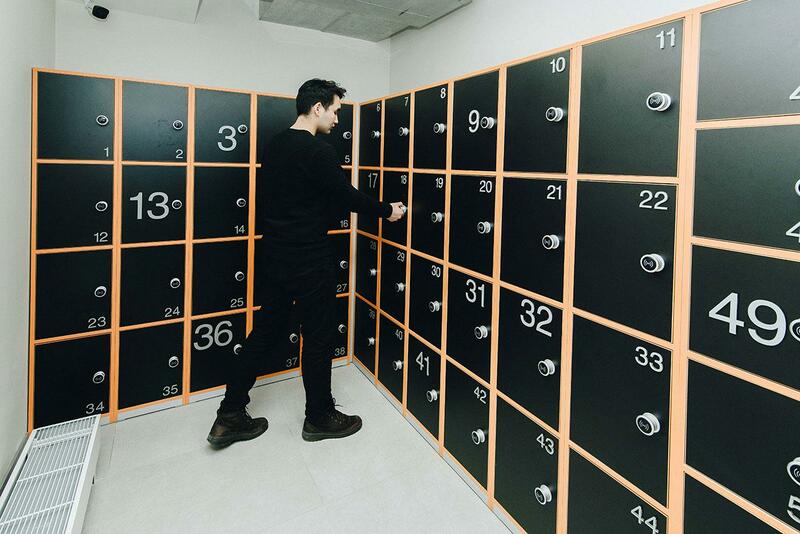 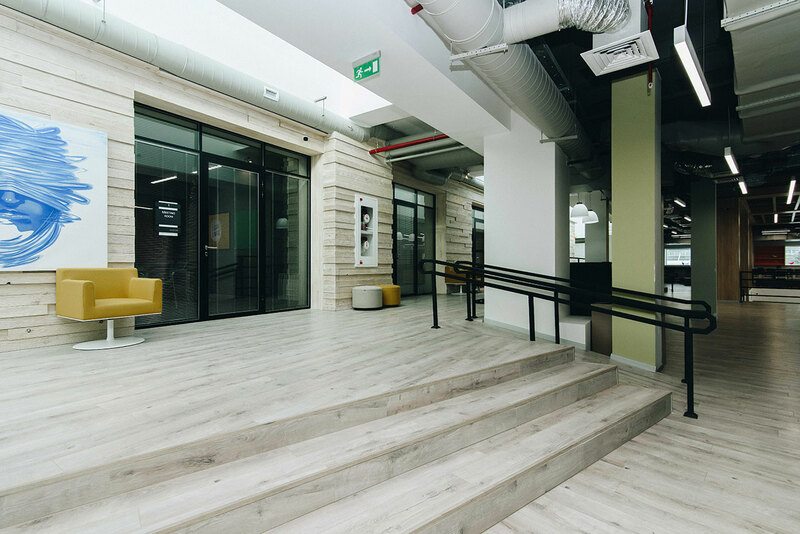 In addition to interior design, technology also acts as a common thread for all installations, since this coworking space has its own system that, by swiping a personal card, opens and closes the doors to each space and charges for the services that are used. 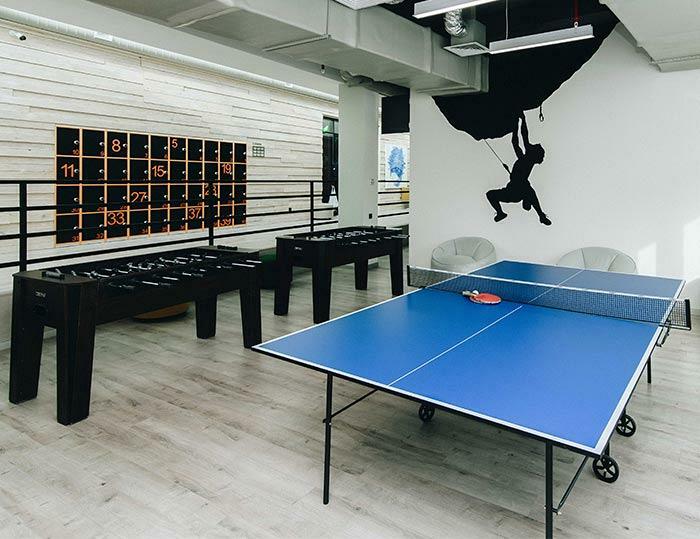 A specific solution for these types of coworking facilities, in which both the space and the way of working in it have been rethought.